What does one do on an afternoon off in the middle of the week? Go makeup shopping. Duh. And that is exactly what I did a few weeks ago. I was on the Upper East Side strolling around before a meeting and wandered into the new NARS boutique on Madison. WOWSA is all I can say. It. Is. Stunning. One of the best parts of living in NYC is the access to flagship stores and concept stores that take the shopping experience to a whole other level. Of course when in such amazing stores with beautiful aesthetics all around, it's hard not to buy. So I figured I needed to add two more lipsticks to my collection. The glitter in Mayflower is still quite apparent when swatched as it is when worn, but it's not too much that it feels inappropriate for daytime. I have taken to wearing this color all the time and it goes with practically any eye and lip. Heat Wave is definitely a weekend or evening shade for me and I love it. I tend to be drawn to more orange-toned reds rather than blue-toned reds so Heat Wave was right up my alley. Now if only I could stop here, right? I already have my eye on Schiap, Red Lizard and Belle du Jour for my next trip. What are you favorite NARS Lipsticks? Any that I should check out next time? Let me know in the comments below! I finally bit the bullet and got Schiap this summer and I love love love! I totally need a replacement Heat Wave now after reading this. Gimme! I need to try Schiap!! I can't believe I waited this long to buy Heat Wave! I am in love with Dolce Vita and have been wanting to try a few more shades from them. I am eyeing Jungle Red, Heat Wave, and Red Lizard, but have to go into the store to swatch all three. Great post! both the shades are beautiful! 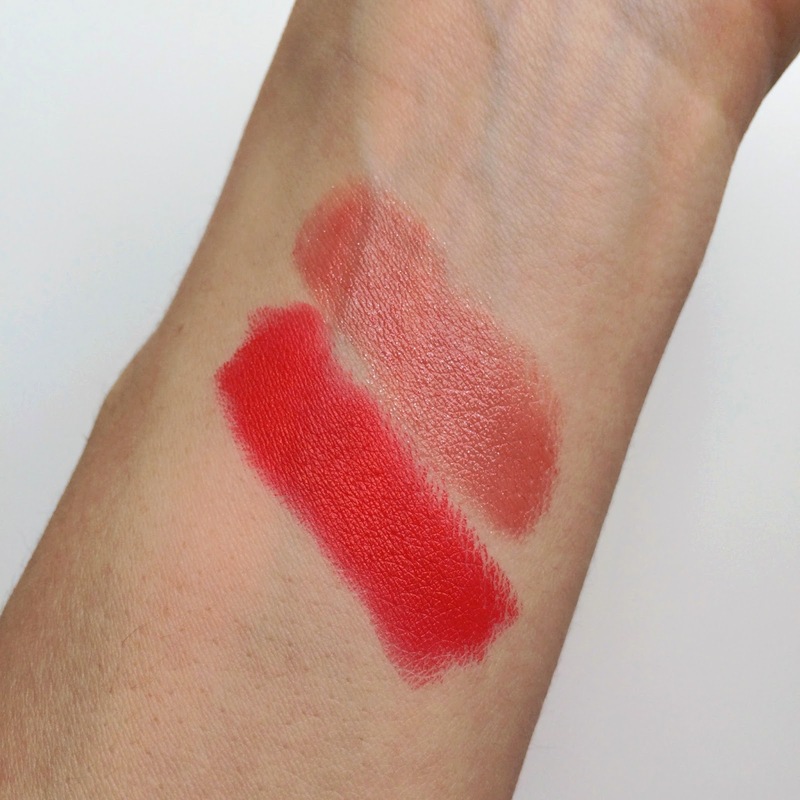 Gorgeous shades, I have one of the lip pencils in Red Square and I absolutely love it!